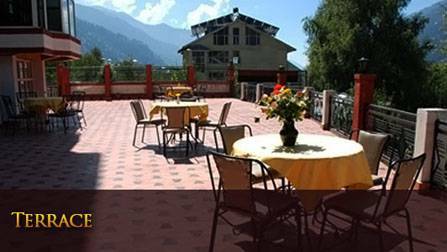 In house built restaurant attached to terrace with a beautiful hill view makes it a perfect choice for parties, functions, meetings and conferences. This Hotel is at a safe location for snow time visits. Capsule Lift facility is here to reach all floors. 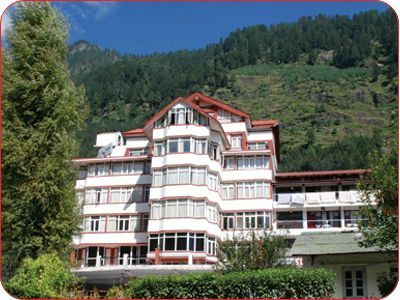 Rooms are modifying rooms with splendor interior to add such a grace which is no where in any Manali Hotel. Bath fittings have been also changed. Multiple cuisine restaurant with room service facilities, 24 hours hot and cold running water in rooms, Recreational activities like Table tennis is available and Bar for adults is also available with multiple choices. We have very beautifully designed interior and the hotel has been renovated and new bath fittings have been fixed in this month a August 2012. so this is totally a fresh accommodation for all people who like to stay at hygiene and peaceful environment. Aleo with in 70 meter distance from city shops & opposite to Mountaineering allied sports institute. The payment for booking should be made before 7 to 2 days of the date of arrival.